Celebrating 10 years of Majeka House & Spa! This October we’re officially celebrating 10 years of Majeka House & Spa. 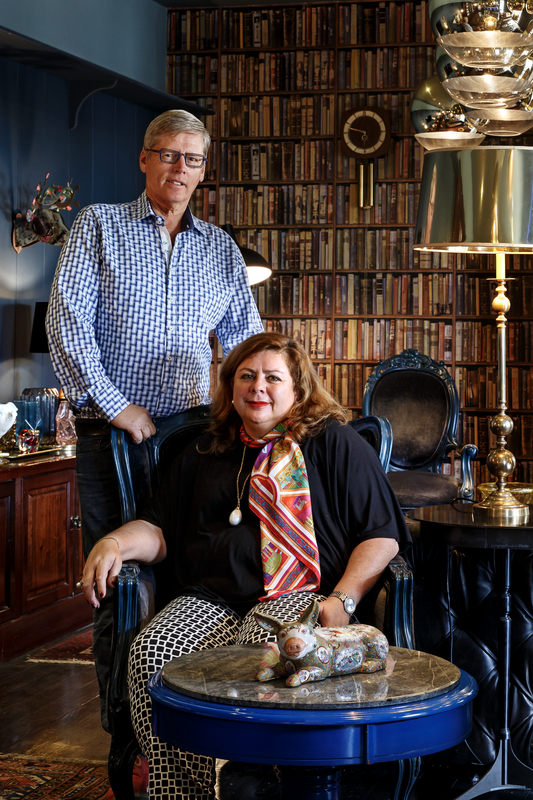 Owners Karine Dequeker and Lloyd van der Merwe share ten favourite things from the last ten years. We have so many favourite dishes—but we’ll go with the zucchini risotto with raw mushrooms and cured egg yolk shavings. It has been on the menu for the past three years and is not allowed to be removed! Karine: I’ve been a collector since the age of 8. I have to hold back to bring them all up. Many have sadly been taken to new homes already. We just went to Knysna and Lloyd bought me the most beautiful pig-tray, which will make its way to the breakfast table as soon as I have enjoyed it enough at home! The best thing that has ever happened to Majeka House. His designs made a difficult location become a destination. A lot of new hotel owners should learn from this. He saved Majeka House! Mr and Mrs Jones: our favourite clients, they come every year in February to play golf and enjoy the sun. We have gone through a lot of mishaps but they come back because they love us! Sadly this year they are not coming down because of their bad experience last year with the drought but have promised to be back in 2020! The best decision ever was to listen to crazy lady Alison Rightford. We thought the spa was a cost centre, she swore it would be profitable. It did and a lot more than we expected, it has become to hard-working soul of Majeka House. Under the professional management of Inalie it has become a destination for many. The most photographed room in the hotel. Some detractor said it would only last a year and then go out of fashion when Etienne revealed it… little did they know. This room will last forever. They all have something to look at when you are lying on the bed! We travel a lot and every time we come back, we are stunned by how beautiful our town and its surrounding mountains are. And the wine estates… really we would be nothing without them, their world quality wines and their fervent marketing. We are living and loving our dream. Despite tears, fights, arguments, our love of Majeka House has surpassed. So let’s love Majeka together for many more years!